FW3401HS αVII wrapping candy and candy | Horizontal Pillow Packaging Machines | FUJI MACHINERY CO.,LTD. A high capacity horizontal pillow packaging machine for small products. 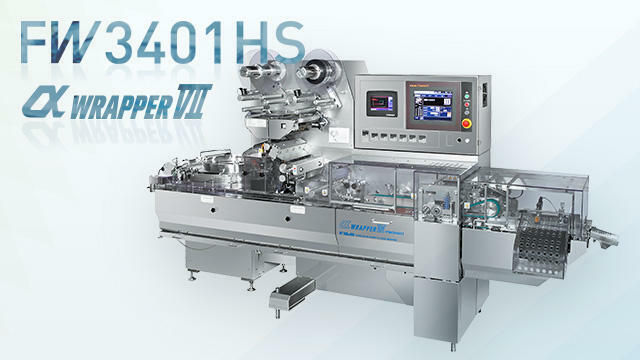 The FW3401HS is used mainly to wrap candy, managing up to 1800 packages per minute. Employs the IH system for center sealing and end sealing. Uses a stainless steel cover to improve sanitation.